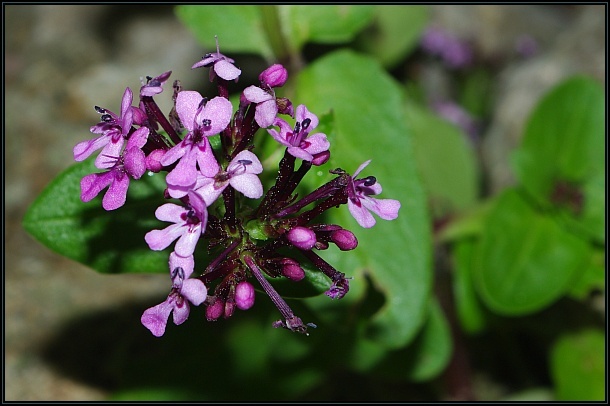 The African valerian (Fedia cornucopiae) is a small annual plant with alternate bright green, ovate leaves. 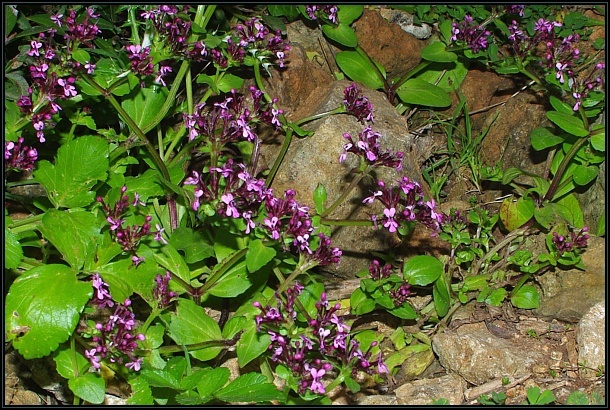 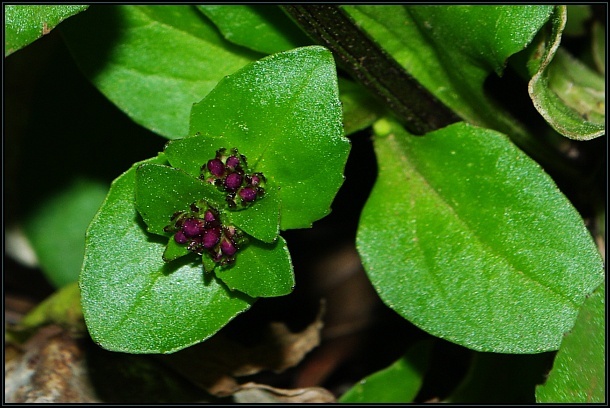 The flowers are small, clustered and a bright purplish-pink. 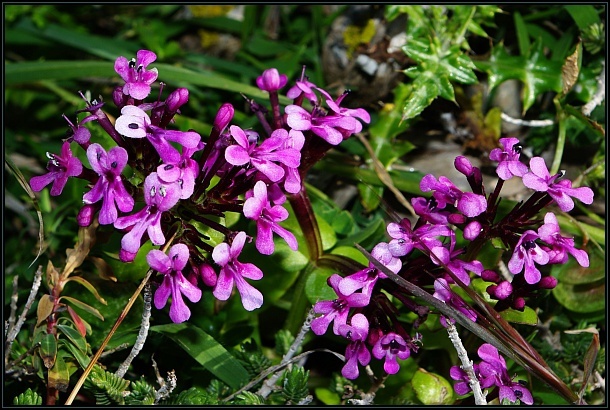 This plant grows in garigue as well as on disturbed ground and flowers in spring.